Holts Summit Fire Stations 1 and 2 - PWArchitects, Inc. 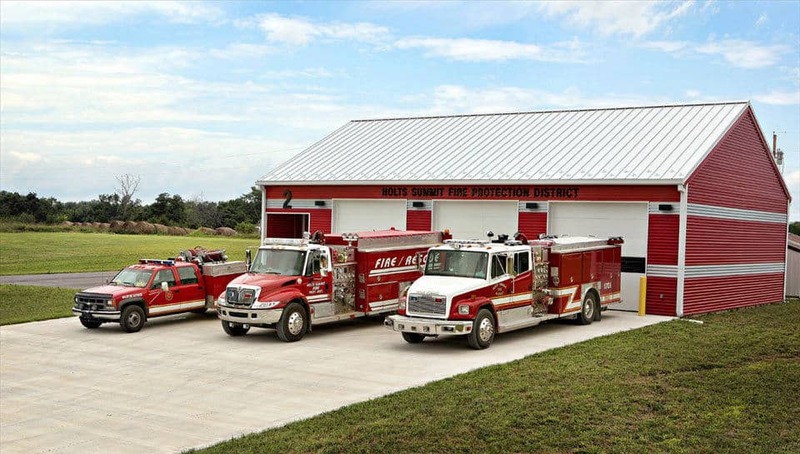 The expanded Holts Summit Fire Protection District building, encompassing 9,625 square feet with 6 apparatus bays, is used for public education meetings, training, administrative work and department meetings. The fire station has two floors with living quarters, apparatus bays, and a training room. The 2,800 square foot existing bays were updated with a new metal exterior, new overhead doors, and new fans. The living quarters have 6 dorms, a kitchen, baths, and a living room. There are a total of 8 new offices in the addition. Fire Station No. 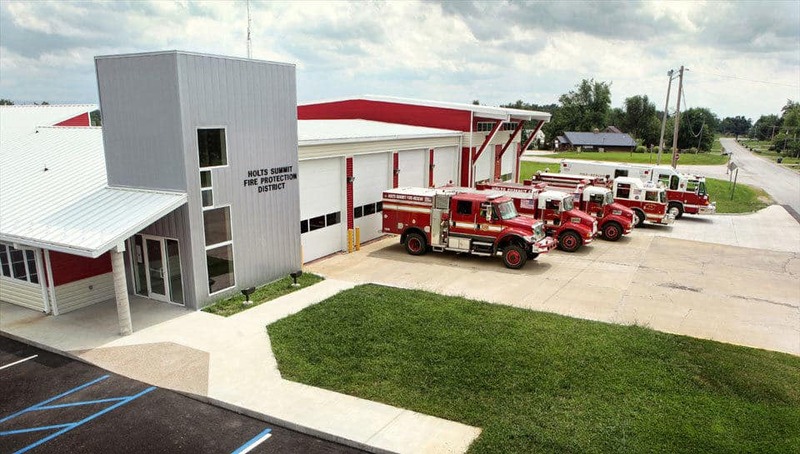 2 is a new three-bay fire station to house apparatus, an office, and toilet facilities. Like Station No. 1, the building is wood framed construction with metal wall panels and metal roofs. Station No. 1 – 9,625 sq. ft.; Station No. 2 – 2,800 sq. ft.